Colleen Jeffrey, MS: Colleen Cole-Jeffrey received her M.S. in Molecular and Cellular Biology at the University of Notre Dame in 2011 and is currently a 5th year graduate student in the Interdisciplinary Program (IDP) in Biomedical Sciences at the University of Florida. 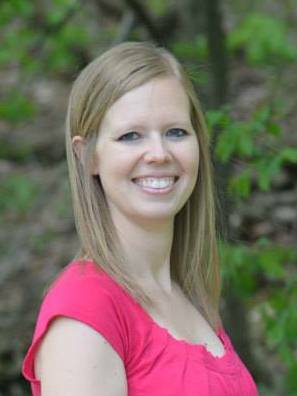 Colleen’s major research interest focuses on understanding the role of the vasoprotective components of the renin angiotensin system in the pathophysiology of cardiovascular diseases, specifically ischemic heart failure and pulmonary hypertension. She is also exploring the link between the cardiovascular system and gut microbiome as well as the potential to use microbes as therapy for heart disease. Michael J. Katovich, PhD: Dr. Katovich has been involved in endocrine and cardiovascular research for the past 35 years. Within the last 20-25 years his major research interest has focused on the role of the renin-angiotensin system in cardiopulmonary disease (pulmonary hypertension and pulmonary fibrosis) and in other cardiovascular disease states. Much of this research has been in successful collaboration with investigators at UF. We have developed a hypothesis that the renin angiotensin system has two major axis that determine health/disease states: the vaso-deleterious axis (ACE/Ang II/AT1R) and the vaso-protective axis (ACE2/Ang-(1-7)/Mas and the AT2R). We have demonstrated that the balance between these axes will lead to a healthy condition in our studies in pulmonary hypertension and pulmonary fibrosis. We have also hypothesized that there is a definite interrelationship between the ACE2/Ang-(1-7)/Mas axis and the beneficial actions mediated by AT2R activation. We have utilized ACE2 activators that have enhanced the actions of AT2R and likewise demonstrated that stimulation of AT2R will activate and/or normalize the ACE/ACE2 ratio and thus the balance the vaso- deleterious and vasoprotective axes of the RAS. Recently we also have utilized newer technology to produce, ACE2 and Ang-(1-7) in plants for oral delivery of these therapeutic agents and this methodology has been successful in preventing the development of PH and arresting the progression of PH when administered after PH has been manifested. Ashok Kumar, PhD: Dr. Kumar received his Ph.D. in Pharmaceutical Sciences from the University of Delhi, India. He has previous experience in Drug Discovery and Development for diseases ranging from erectile dysfunction, diabetes, Alzheimer’s, and asthma to hypertension. Dr. Kumar focuses on the immune system’s involvement in hypertension and pulmonary hypertension. Avinash Mandloi: Mr. Avinash Singh Mandloi is a graduate student working on his Ph.D. under the mentorship of Dr. Vipin V. Dhote from the Faculty of Pharmacy, VNS Group of Institutions, Bhopal, India. 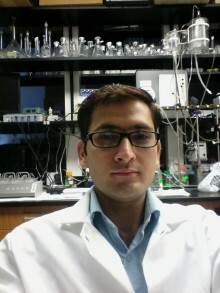 Currently, he is an exchange visiting research scholar in Dr. Raizada’s lab. His prime objective is to gain expertise in the areas of cardiovascular and pulmonary research, which he can apply towards his thesis work. 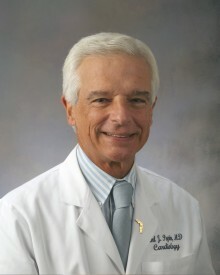 Carl J. Pepine, MD: Carl J. Pepine, MD, is Professor of Medicine, Division of Cardiovascular Medicine at the University of Florida College of Medicine in Gainesville, Florida. He is Division Director Emeritus and Eminent Scholar Emeritus. Dr. Pepine is an internationally recognized leader in both the clinical and scientific areas of cardiovascular medicine. His major interests focus on the pathophysiology of ischemic heart disease and coronary and systemic vascular hemodynamic mechanisms underlying the disease. He is principal investigator for the UF center for the NHLBI-funded Women’s Ischemia Syndrome Evaluation (WISE) and the UF center for the Cardiovascular Cell Therapy Research Network (CCTRN). He has been or is the PI for many investigator initiated clinical trials, as well as NHLBI trials. He is past president of the American College of Cardiology (ACC), the national professional organization for cardiovascular specialists. 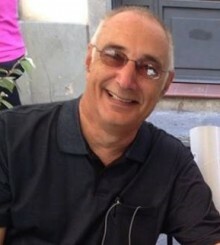 He currently serves on the Board of Trustees of the ACC and many committees and task forces and is the founder and overall Project Chair for the Vascular Biology Working Group (VBWG). Dr. Pepine’s clinical interests include Ischemic heart disease, heart disease in women, cardiovascular cell therapy, preventive cardiology, genetic cardiology, clinical trials in cardiovascular disease, and hypertension & lipid disorders. 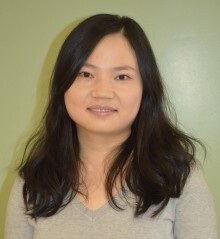 Yanfei Qi, PhD: Dr. Qi is an Assistant Professor of Medicine with the University of Florida’s Division of Cardiovascular Medicine. In 2002, she received an MD and in 2005, a Master of Science in Biochemistry, both from Guiyang Medical College in Guiyang, China. Dr. Qi received her Ph.D. in Pharmacodynamics in 2009 at the University of Florida. Dr. Qi’s major interest focuses on investigating the pathophysiology of cardiovascular diseases, specifically, components of vasoprotective axis of the renin-angiotensin system and its role in hypertension, pulmonary hypertension, and ischemic heart failure. Dr. Qi is also interested in stem cell therapy for cardiovascular diseases and studying the involvement of microbiome and neuroinflammation in patients with cardiovascular diseases. Brian Shapiro, MD: Dr. Shapiro is a cardiovascular disease specialist at Mayo Clinic in Jacksonville, Florida. During the course of his academic training, he performed two years of basic and clinical heart failure research in the Mayo Clinical Investigator Tract where he also served as chief resident. His clinical training focused on advanced cardiovascular imaging by obtaining technical and interpretive expertise in cardiac magnetic resonance imaging (MRI), cardiac computed tomography, echocardiography and nuclear cardiology during a dedicated two-year Advanced Cardiovascular Imaging Fellowship. Dr. Shapiro obtained additional training in the fields of pulmonary hypertension, cardiomyopathy, and heart failure. His primary area of academic interest includes the use of cardiac MRI to aid in the assessment of the diagnostic and prognostic characteristics in patients with heart failure and pulmonary arterial hypertension. Dr. Shapiro is currently investigating the use of cardiac MRI to aid in the assessment of a variety of disease such as pulmonary hypertension and heart failure. Lastly, he is also highly committed to a career in education. In addition to directing the cardiovascular component of medical residents, he is the Associate Director of the Cardiovascular Fellowship and Assistant Dean of Academic Affairs at the Mayo Medical School. As such, implementation of curricula and educational research are also passions of his. 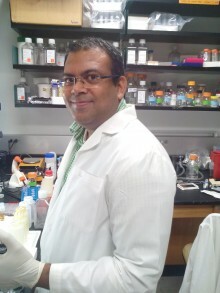 Vinayak Shenoy, PhD: Dr. Shenoy is an Assistant Research Scientist in the Department of Pharmacodynamics, College of Pharmacy at the University of Florida. He received his Bachelor of Pharmacy Degree from the College of Pharmaceutical Sciences, Manipal, India and Masters from Birla Institute of Technology and Sciences, Pilani, India. He obtained his doctoral degree from the Department of Pharmacodynamics, College of Pharmacy, University of Florida under the mentorship of Dr. M.J. Katovich. Following this, he was a post-doctoral fellow with Dr. Mohan Raizada. 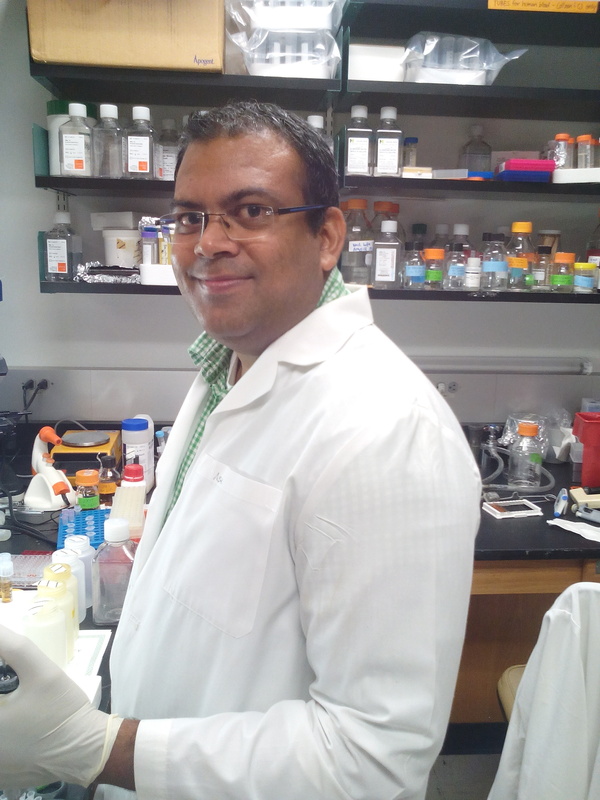 Upon awarding the Scientist Development Grant (SDG) from the American Heart Association he took up a position as an Assistant Research Scientist with the College of Pharmacy, UF. 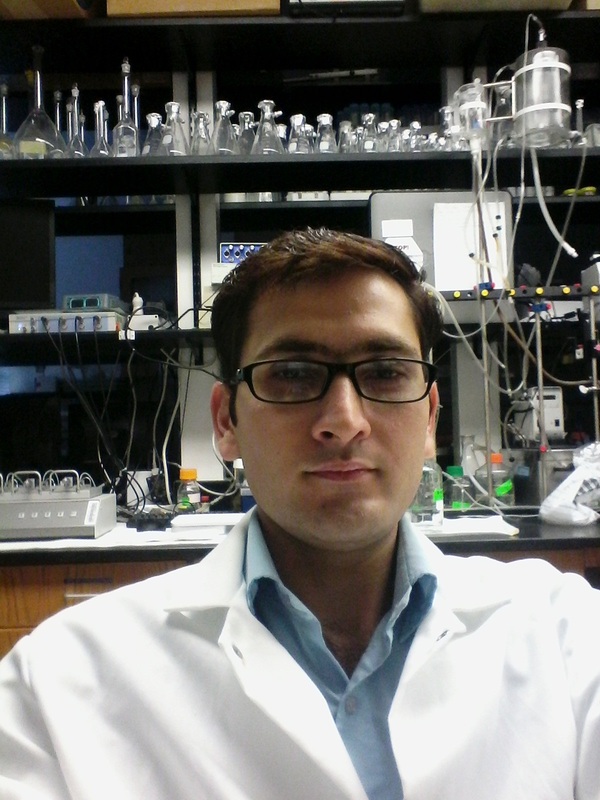 His research work focuses on evaluating the role of the renin angiotensin system (RAS) in cardiopulmonary diseases. 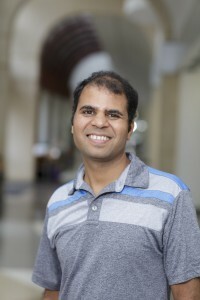 Particularly, he has been interested in understanding the functional significance of the Angiotensin converting enzyme 2 (ACE2)-Angiotensin-(1-7)-Mas axis and Angiotensin type2 receptor (AT2R) in the heart and lungs, so that they can be developed as effective targets for the treatment of pulmonary hypertension, lung fibrosis and heart failure.